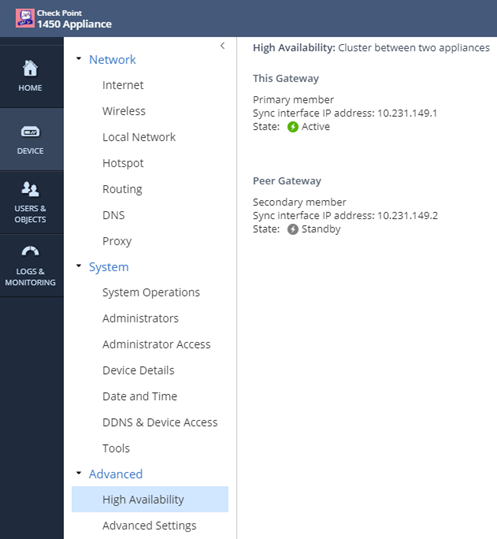 This article will show you how to configure a centrally managed cluster for Gaia Embedded gateways. 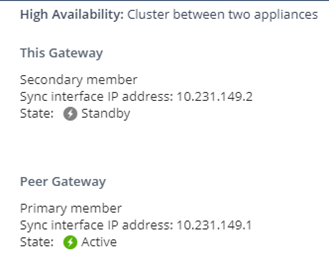 If you want to configure a locally managed cluster for an SMB Gateway, refer to sk121096. 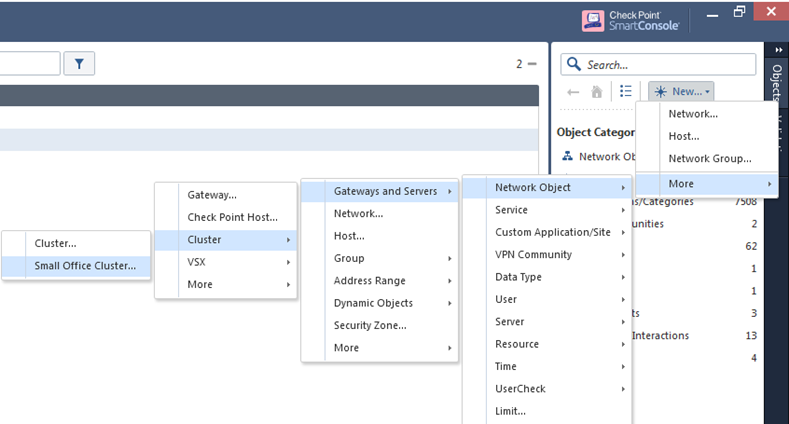 Configure two SMB Gateway interfaces as a mirror of one another. Meaning, if Interface<A> is configured in Member1, have Interface<A> configured as well in the same subnet in member2. 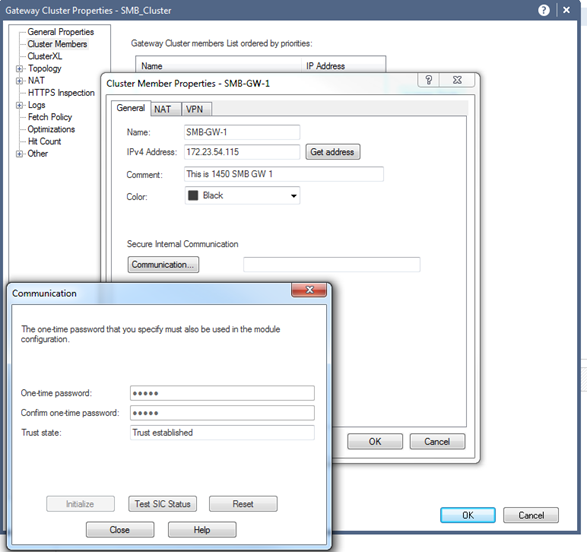 When the 2 members are configured proprly, configure the cluster object in the Security Management Server. 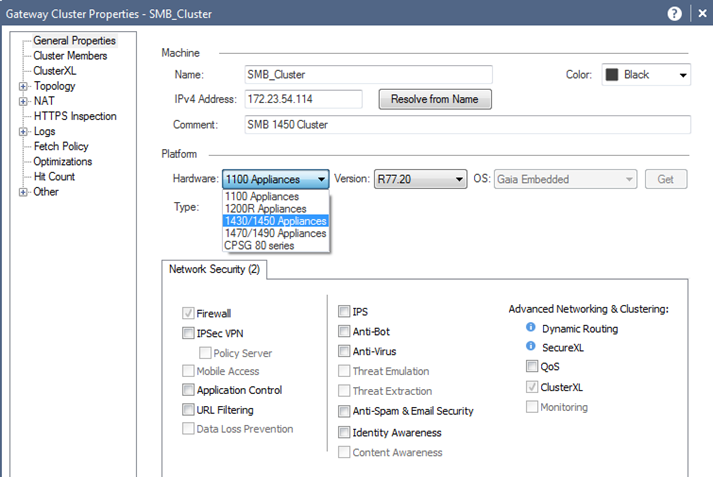 In this example, we will use R80.10 Security Management Server. In this example, we will choose to configure it through "Classic mode". Choose the correct product hardware and the relevant firmware. 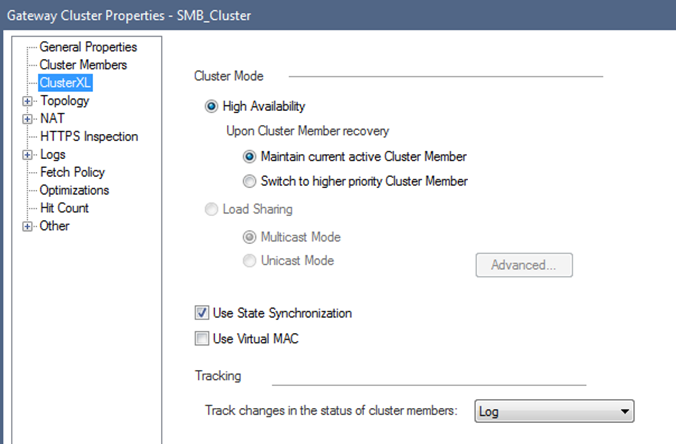 SMB Cluster (running Gaia Embedded), can be used only in HA mode. Load Sharing is not supported. Define the Topology (Interfaces configured + Sync + Cluster VIPs). Wait for the policy installation to complete. 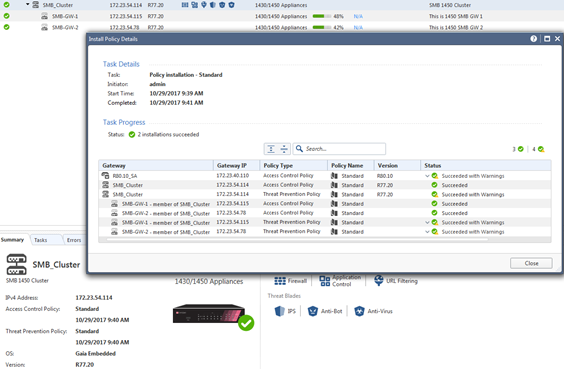 When the policy installation completes, open the WebUI -> Device ->High Availability. When configuring a cluster, you cannot use a wireless interface as the Sync interface. 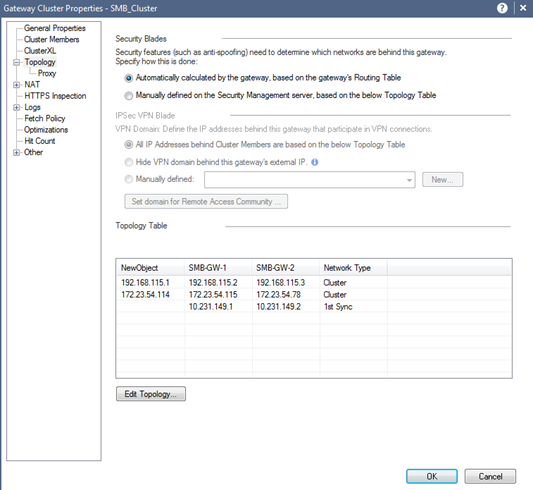 Configuring Bridge/Switch on network interfaces is not supported in Cluster High Availability mode. 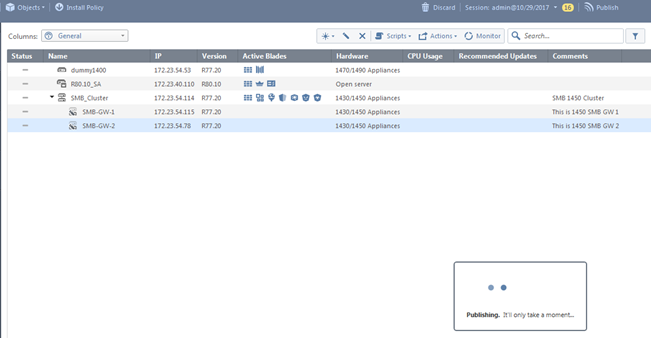 Adjusting a cluster through cpconfig is not supported. Running fullsync is not supported. In Classic Mode, the configuration of two nodes is supported.